This Richmond bagelry is a San Francisco institution, having resided in the same location since 1964. The facade's elaborate mural brightens up a dreary stretch of Geary street and gives those lined up out front something to stare at. 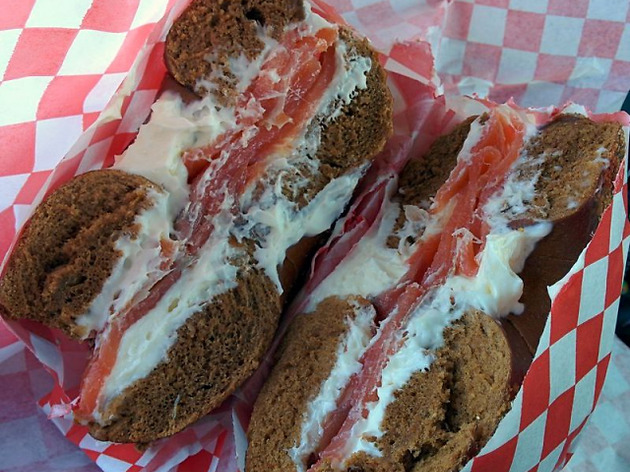 Over the decades, the family-run shop has maintained the same recipe, in which bagels are boiled, then baked on stone. The result is a firm, dense bagel that stands up to toppings. Though the Brooklyn-style recipe is unchanged, new flavors pop up each week, including varieties like apple ginger, cheesy dill and corn rye. 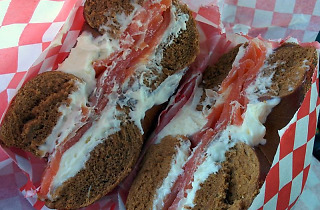 (The old-school shop gained some notoriety recently for developing the "cragel," a bagel-croissant hybrid.) Apart from bagels, the bakery also churns out fresh breads, black and white cookies and pastries daily.